Everyone knows about PUBG by now, right? 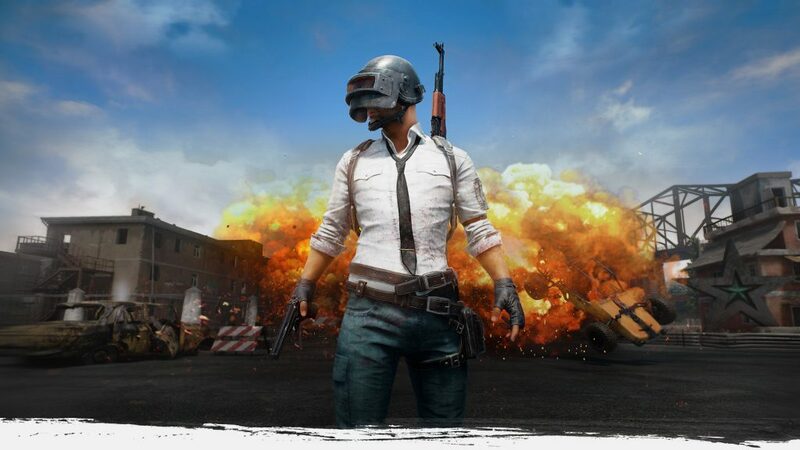 Probably the biggest success story since Minecraft, PUBG is the multi-million-selling survival shooter that mixes The Hunger Games and Battle Royale, and was in Early Access on PC until very recently and is now taking the Xbox One by storm in its exclusive Preview programme. 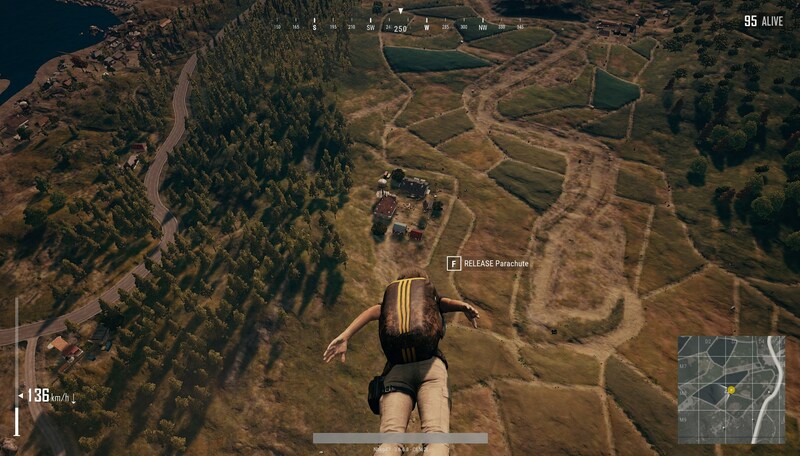 Up to one hundred players will find themselves crammed onto a plane with just a parachute and a few articles of clothing to their name (well, except for those players running around in their underwear, because reasons) and are flown over a large area of land from a randomised direction. Each player parachutes wherever they want on the map, scrounging for weaponry and other supplies, then the aim is to be the last one alive. To keep the flow of the game moving, players are forced to constantly relocate to a designated circle that will get smaller and smaller every time it moves. You only have a set amount of time to get to that circle, before a larger blue circle begins closing in, which equates to a giant electric fence that chases players into the safe zone. You can only survive for so long outside the circle, as your health is drained every second the blue wall has passed you. Let me tell you: the sense of panic brought on by a closing circle is palpable. There is a very good reason why this has been such a huge success and that’s because it’s damn good. Considering I am not a fan of competitive online shooters (because I’m terrible at them), I have had a blast playing PUBG. I’ve been playing both PC and the Xbox One versions, as you may have seen in the recent video we did as a team, because even I can be competitive with my limited skills. This is largely down to the random aspect of the survival side of the game and because everyone starts on a level playing field. Unlike most shooters, these weapons are randomly placed and so luck is often a factor. One match might see you tooled up to the eyeballs with an assault rifle, SMG, and a shotgun, whereas the next match might see you struggling to find anything but a little 9mm handgun and a handful of bullets. Or a crossbow, which is next to useless unless you’ve got sniper-like aiming skills, which I very clearly do not. You’re not exactly safe though, even if you’ve found some incredibly powerful weapons. 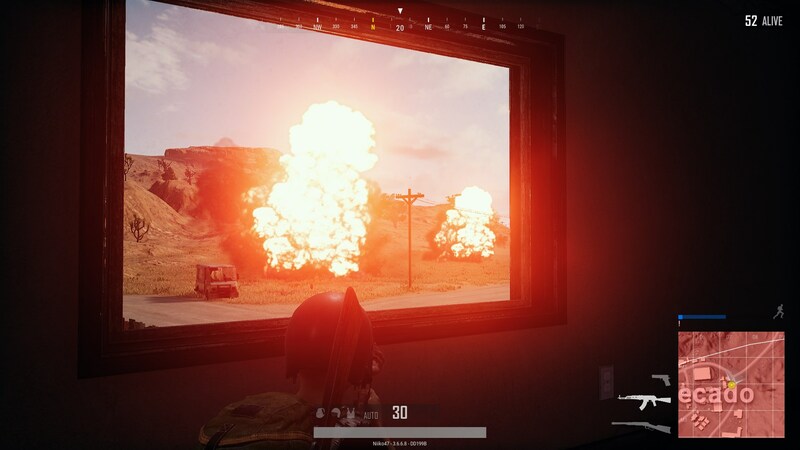 This is where PUBG absolutely excels, as the atmosphere is about as intense as you can get outside of the horror genre. Whenever I play a solo match, I legitimately find myself shaking as the adrenaline courses through my veins, the longer I stay alive during the match. Even when you first land, if there are other people around you’re instantly sprinting for the nearest building, in the hope of finding a weapon inside. But you’re not always required to actually fight to survive, in fact I managed to reach the top five in one match with only one kill to my name. That kill was in the final moments, too. There are issues however, namely in the cheating department. 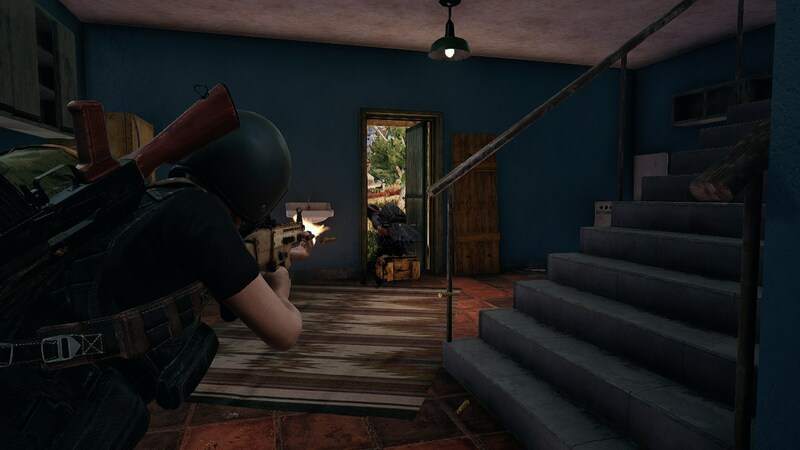 This isn’t unique to PUBG (indeed, PC gaming as a whole is riddled with these game-ruining scumbags, thanks to the open nature of the format and the use of aimbots and the like) and it must be said that PUBG Corporation is working tirelessly to improve the anti-cheating systems in the game. Already there is a fairly robust reporting system, so if you suspect that your death came at the hands of a cheater (I’ve had that happen a couple of times, unfortunately) you can click the report button and select a reason for your suspicion. More tougher systems are being developed even as I type this, so hopefully PUBG will see less cheating in the future. As player numbers continue to grow, so does the game itself. Initially including just the one (admittedly huge) map, the very Eastern European-looking Erangel, PUBG has since added a second, Miramar. 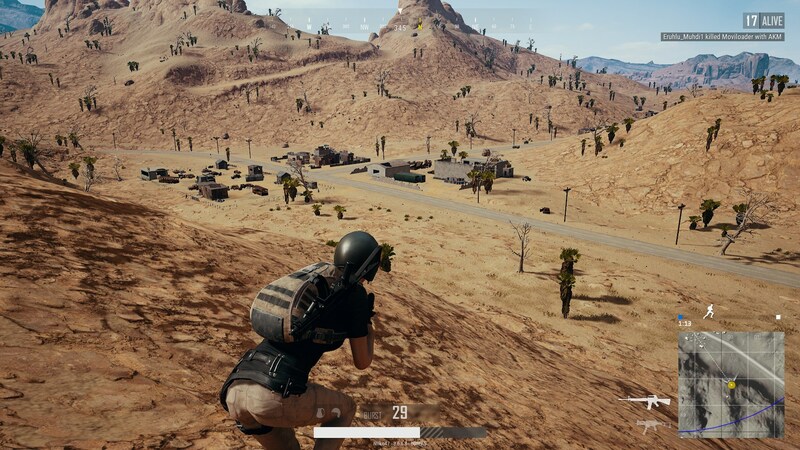 Weirdly, players haven’t exactly warmed to Miramar because of how different it is to Erangel. Instead of mocking its fanbase for being ridiculous, the dev has taken this feedback on board and is adding new buildings and features to the map to make it a little less open and to appease the detractors. Personally, I love the differences between the two maps and not just because they’re basically night and day – it’s a genuinely different experience separating Erangel and Miramar, requiring a change in tactics and even play style in order to survive. You can’t hide in the grass on Miramar because it’s basically a desert, but there are still plenty of little towns that are ripe for a good gunfight. It’s just a shame there aren’t any high noon moments, because you’ll be peppered with bullets within seconds of entering another’s sights. No time for that long standoff in the afternoon sun. Both maps look great, running smoothly on my PC at 1080p with the settings turned up high, but also being highly customisable for less powerful machines. I tried it on another PC that was noticeably slower than my current one, but still got a steady framerate on medium settings. You will likely encounter lag here and there though, which seems to grow worse during the latter stages oddly enough, with less players. That doesn’t affect the impressive lighting either way, especially when you’re stuck inside during a red zone bombardment and the shadows grow more pronounced in the glare of the bombing run’s explosions. Loading times are good, given that it’s loading in up to one hundred players and an entire map. It takes maybe a minute, only loading that one time before transitioning from the on-map lobby to the plane, though that transition is never smooth. It’s instant, at least. I do have one major concern however, and that is to do with the rewards given out by the game. Depending on your actions during a match, from your final placement on the leaderboard to the number of kills you get, you’ll earn BP (Battle Points). These rewards can be quite stingy, but that’s not my problem. Collecting enough BP will allow you to use it to buy crates that contain various cosmetic items. These crates are randomised but some require keys to open them, keys that can only be bought with real money. These may well be cheap (under £2 on Steam) and the items might well be purely cosmetic, but in a game that you’ve already paid money for, it feels slightly wrong. If you could earn keys through in-game currency, even if they were very expensive, it wouldn’t be a big deal, but as it is now, I’m not a fan. Dodgy microtransactions aside, there is no denying the power of PUBG. The tense atmosphere and randomised nature of each match sets it apart from the usual array of perks, killstreaks, and other predictable, overused features present in most other online shooter. The customisation of your character and the controls caters to almost everyone, helping to create a more personal experience, and remember when everyone was talking about emergent gameplay: about individual, memorable moments that cannot be replicated? PUBG is the ultimate example of this, thanks to its originality in a mash-up of genres that have become otherwise stale. There is a very good reason that other games are ‘paying homage’ to this game: it’s simply brilliant. A revelatory combination of the online PvP survival and competitive shooter genres, well deserving of being labelled as a phenomenon. As an added bonus, you don’t have to be pro gamer to enjoy some level of success online.